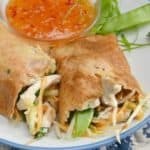 Most amazing filling in these Vietnamese Chicken Filled Pancakes (more like a crepe) and can be used as a filling in wraps, rolls etc These Vietnamese Chicken Filled Pancakes (or rather crepes) are to die-for-delicious ! 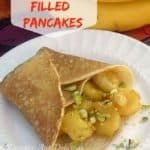 The filling is absolutely outstanding and the pancakes are definitely something else. 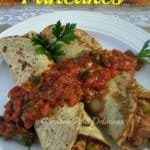 Mushroom and Beef Filled Pancakes are covered in a rich Cheese sauce and make the best dinner which can be served either hot, or cold Pancakes are not only for breakfast ! 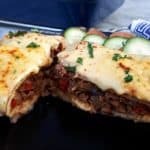 These Mushroom and Beef Filled Pancakes are perfect for dinner and I make them often.